After meeting at Brighton and having a banter in the car as they headed to Elderslie the scene was set. Tim J discussed Basil’s ability to shoot par must be possible as they walked down the first fairway and I agreed but added, “I can only make a few mistakes or have a couple of bad shots for the whole round”. Tim replied, “Yeah I see your point that is going to be pretty hard”. Tim and Bas walked towards the green after both missing the green for their second shots. “Forget about the total score and just focus on one hole at a time, short game is the key- if I ever want to shoot Par”, Bas suggested. As the round progressed the pars kept on rolling in with a blemish 3 putt bogey on the Par 5 2nd hole. Quite a few greens were missed but when Bas pitched from 25m out of the rough on the long Par 4, 5th -410m to 1m and drained the putt for par his confidence was peaking. Bas birdied the 9th with a solid uphill 4m putt and the outward 9 showed even par 35 (Par 70 course) on the card. Bas was three under his handicap for 9 and Tim was 1 under his handicap with a 46. With another bogey on the Par 5 11th, Bas was scraping to hold it together. But on the short Par 4 12th put his drive a metre from the green. With a slightly aggressive chip that ran past the hole and a missed putt, it was a big birdie gone begging. But soldier on he did and with another scintillating par after a cracking pitch shot from 40m to 2m from the pin (after duffing his second) on the long Par 4 14th (422m) he holed the putt. His spirit was soaring as he hit the next 4 greens in regulation, 3 stock standard pars and then a solid 3m right to left curler for birdie on the 18th. “C’mon”, echoed across the quiet valley. Bas had not checked the score but knew he was close to his best ever round since starting to learn the game 35 years ago. Thanks Tim J for sharing the moment and smashing a 90 (best score) off the stick. 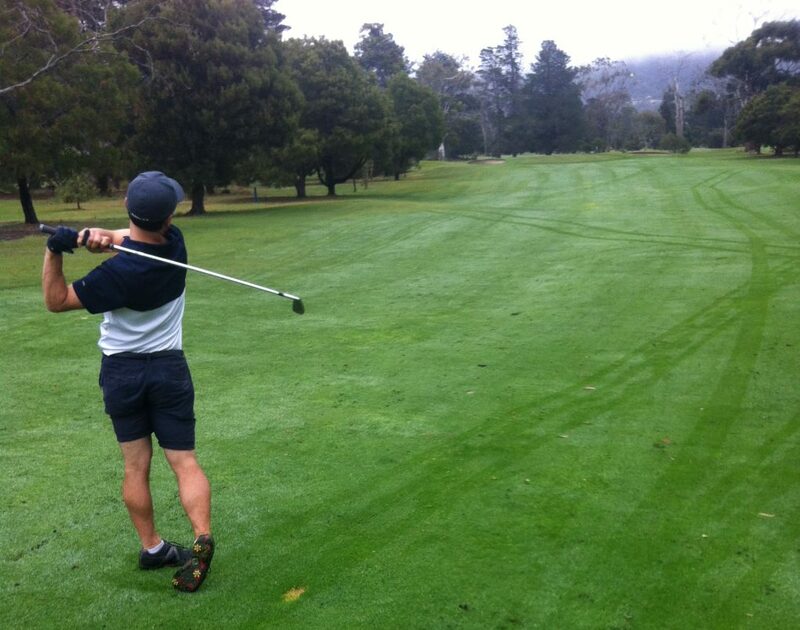 Posted on April 9, 2019 by Gentlepersons' World Golf Tour, Tasmania	This entry was posted in golf, Uncategorized and tagged #bas, #eldersliegc, #evenpar, #gentlepersonsworldtour. Bookmark the permalink.